The application period for the 2016 Massachusetts STEM Teacher of the Year is now open. Nominate a deserving teacher who could win $5,000 for their school to be used for STEM education. 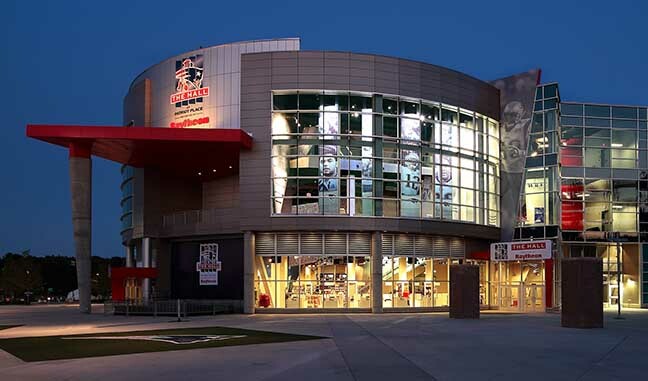 Nomination applications for the 2015-16 Hall at Patriot Place presented by Raytheon Massachusetts STEM (Science, Technology, Engineering and Math) Teacher of the Year are now available by visiting The Hall’s website at www.thehallatpatriotplace.com. This will be the fourth consecutive year that The Hall will honor a Massachusetts STEM teacher with the winner’s school receiving $5,000 to be used for STEM education.